Lucifer’s struggles take a turn for the emotional when he starts to feel the void that he must have never had as the Devil. And it looks like the powers that made Lucifer our favorite also included the inner turmoil that he’s been dealing with lately. This week, the crime was centered on a priest. 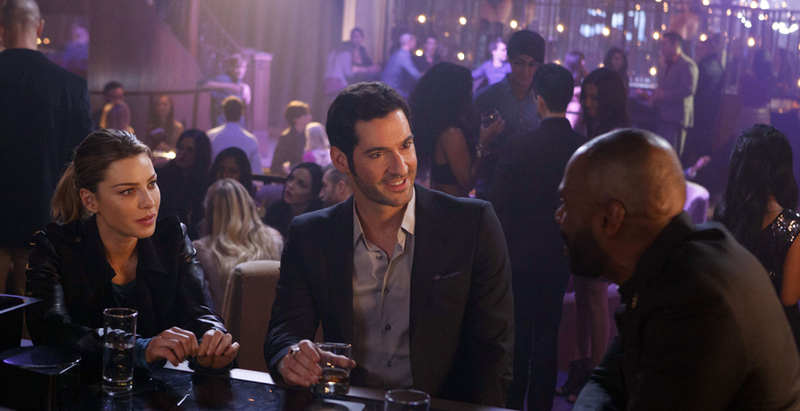 He visits Lucifer at his bar LUX, asking for help only to be turned down. 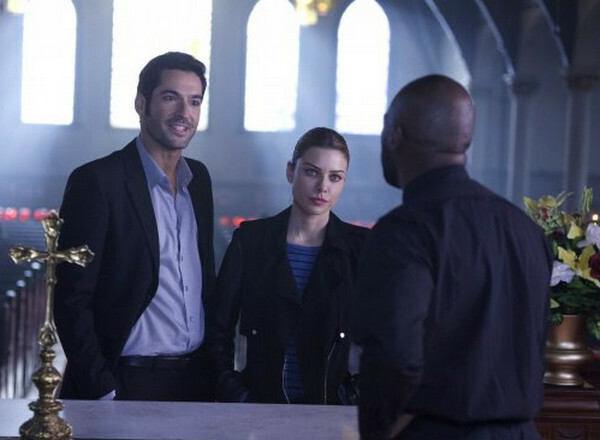 Since clearly the Devil can’t be a fan of priests, we see Lucifer ask Chloe to look into the case. But not the drug dealer case that Father Frank was looking into, Lucifer wants them to look into the priest instead. When the director of the youth center is murdered, he gets his chance. Father Frank admitted that he talked to the head of the youth center, and he was supposed to be taken in for questioning but a shoot out happens right in front of the church. And again everything is twisted back to the priest because he has some information on these drug deals. Apparently there is an opposing drug dealing business that isn’t a fan of their competition. Father Frank is in danger, so Lucifer decides to keep him safe, in his club with scantily clad women. Lucifer spends the whole episode trying to get the priest to crack, always thinking there was something fishy about him. Although what he finds out doesn’t back up his case since Father Frank says a car accident that killed his daughter and Conner’s family pushed him into his faith. This pisses Lucifer off to no end, his daddy issues not letting him ignore any God comment. They do play a few songs together on the piano, which must spark a friendship, right? Father Frank puts himself in danger trying to save Conner who is working for another counsellor from the youth center. Eric Doyle turns out to be the opposing drug dealer and in order for Conner to join him he needs to prove his worth. That turns into Conner trying to shoot the priest but failing, only for Father Frank to jump in front of the bullet meant as punishment for Conner. Lucifer’s reaction is heartbreaking, almost killing Eric for killing Father Frank. The pain in him grew when he realized that his identity was always clear to the priest, and he still found meaning in the fact that they met. Dan isn’t having a fun time in today’s episode; that’s one way to put it. After Malcolm decided that he owns him now, Dan is backed into a corner. First Malcolm comes back to the force and makes sure that Dan is his partner. Then he tells him that he needs Dan to get him something from evidence or else. But not before bringing up the fact that Dan can’t confuse to shooting him if he wants to be around in his daughter’s life. It was about time that we got more than a glimpse at Amenadiel again. It turns out he saved Malcolm, but it wasn’t out of the goodness of his heart. Instead Amenadiel enlists him to do his dirty work, which seems like a promising plot for the rest of the season. 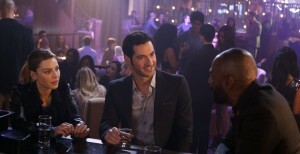 It looks like Malcolm’s actions will be controlled by Amenadiel, and it all leads back to what our favorite angel might be plotting for Lucifer. In tonight’s episode, we find out that murder is on his mind, and his brother is his target. Is this revenge or does Amenadiel have something else up his sleeve? Lucifer’s train of thought as a whole this week revolved around loneliness. He had to push that aside for the case, but we see another glimpse after Father Frank dies. He talks to his father in a sense, questioning him just like a human would. The question of why do good people die gets brought up, and it looks like Lucifer is just as lost. But it wouldn’t be a proper episode if Lucifer and Chloe didn’t share a moment or two. And I have to say that her choosing to go be with Lucifer while he mourns was very sweet – no matter where this relationship will go. Yana is a writer, reader, shipper and overall TV junkie. She is currently studying to become a writer in between fangirling on Twitter, watching too many shows on Netflix and meticulously planning her future. Previous ArticleTV Review: Shameless (6x10) "Paradise Lost"